If any of the statements below apply to you, you need to give this app a try! ・You are interested in Japan. ・You want to go to Japan. ・You will go to Japan. ・You are studying about Japan. 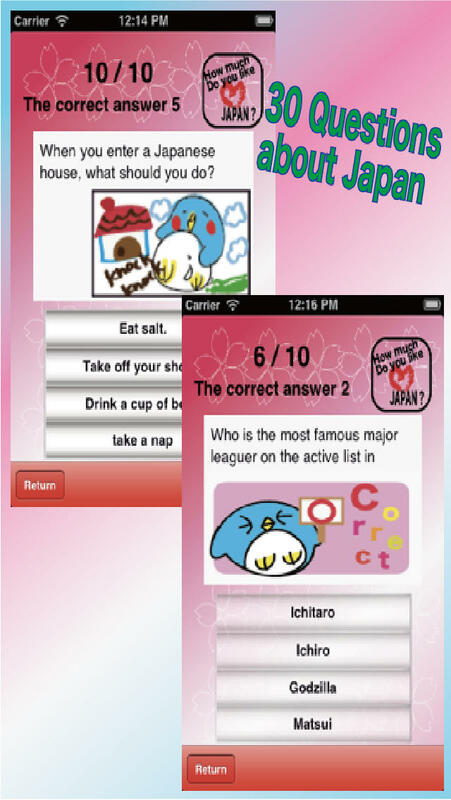 You can find out "HOW MUCH YOU LIKE JAPAN" through this App. 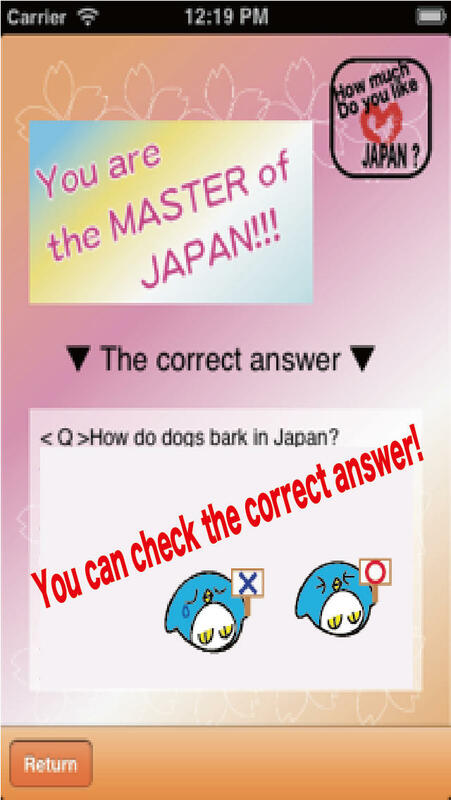 If you score more than 90points (1 Question = 10points); you are the master of JAPAN! If you score under 89points; you should study a bit more and give it another go!! 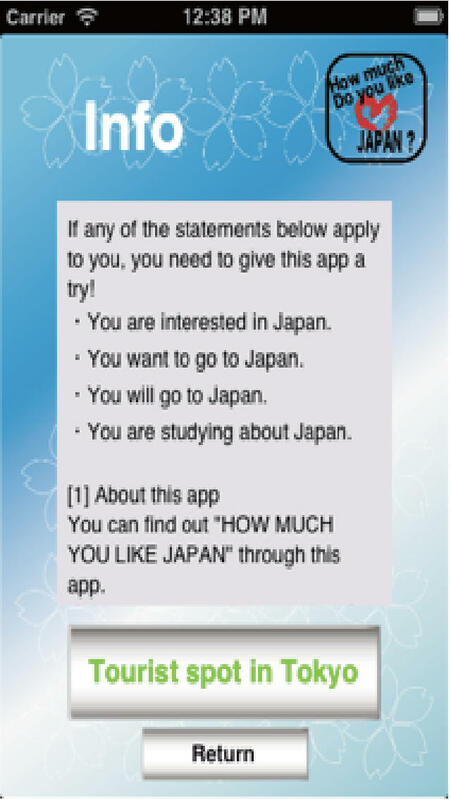 The point of the App is to figure out, "Do you like japan? ", or "Are you interested in Japan?" If you’re able to get more than 90points 3times in a row; you’re closer to being a Japanese Native! Introduction of famous tourist spot locations in Tokyo. If you come to Tokyo, please go here. You will definitely have fun!!!! !